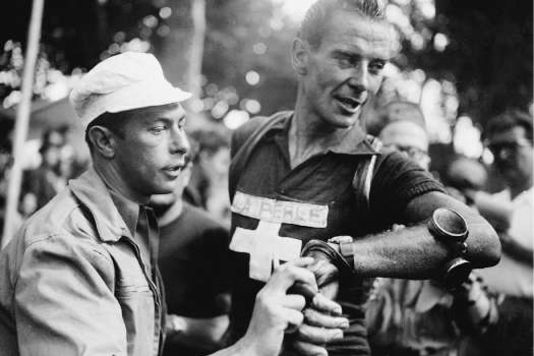 Hugo Koblet (March 21, 1925 - November 6, 1964) was, along with Ferdy Kübler, part of the Swiss dominance of European high end racing in the 1950s. 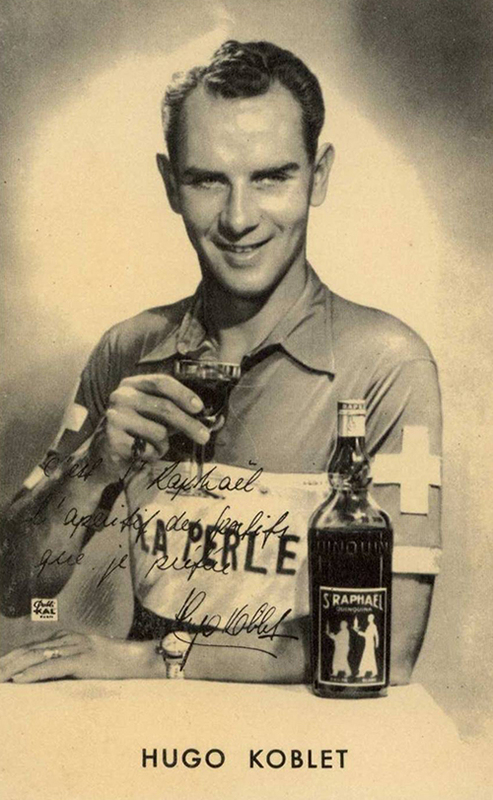 Koblet started as a track rider and dominated individual pursuit competition most of his professional life, being Swiss champion of the event every year from 1947 to 1954. 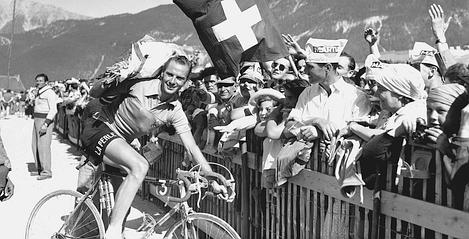 He was a stunningly talented athlete. 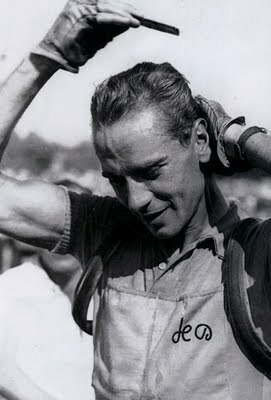 He was a particularly capable time trialist, an ability that allowed him to win the 1951 Grand Prix des Nations, beating Fausto Coppi in his prime. 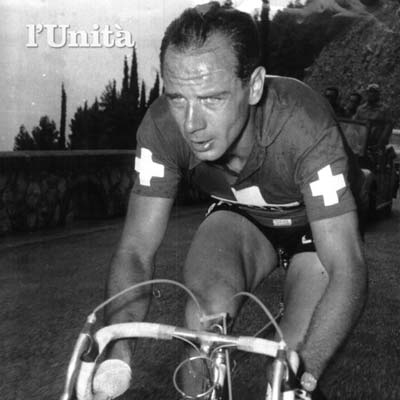 In 1950 he became the first non-Italian to win the Giro d'Italia and in 1951 he won the Tour de France. 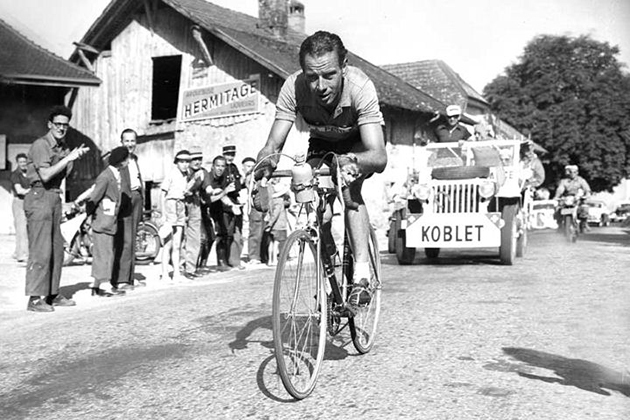 That 1951 ride was Koblet's peak, and from there he went into a still-unexplained decline. His handsome features and easy, good nature make his nicknames Pédaleur de Charme and Le Bel Hugo understandable. 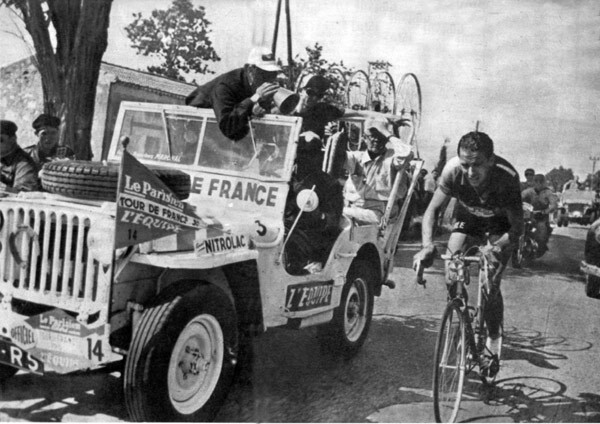 He always carried a comb and bottle of cologne to freshen up near or at the end of a stage. 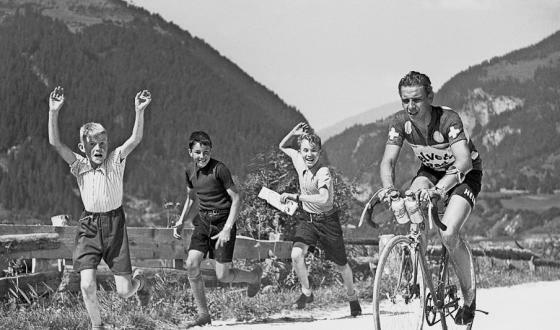 By the late 1950s the victories no longer came with ease, and eventually didn't come at all. His free-spending ways left him deep in debt and he was divorced from his wife, a model name Sonja Buhl. 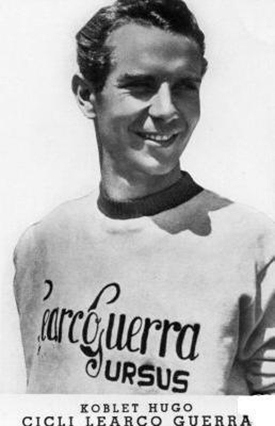 In 1964 He died in a car crash that appeared to be a suicide. 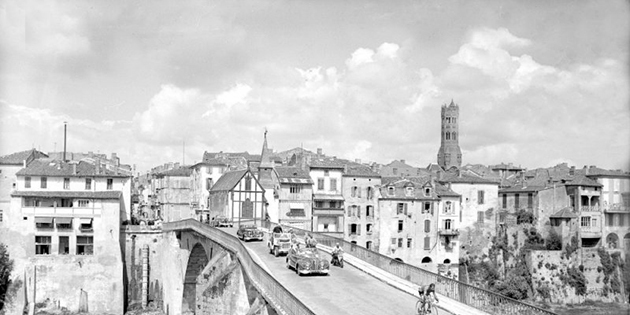 Koblet looking perfect in 1950. 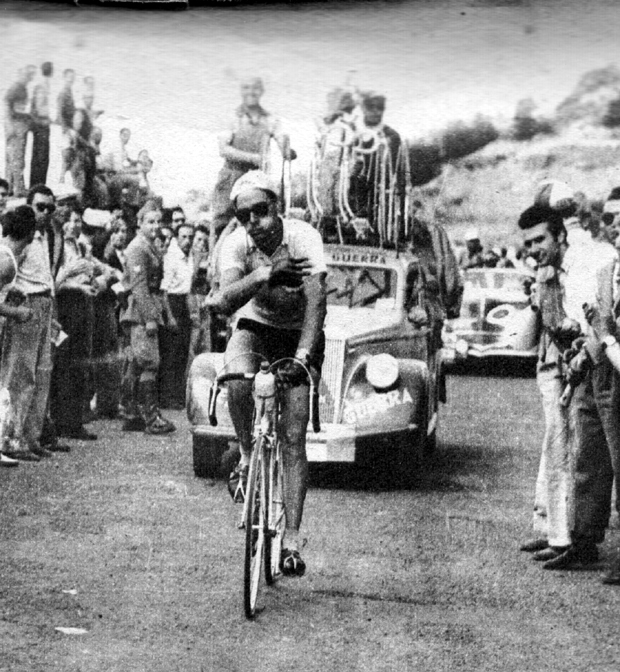 Hugo Koblet riding away from the field in the 1951 Tour. 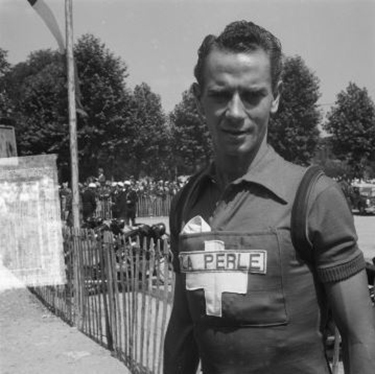 Another shot of Koblet during the 1951 Tour de France. Note the goggles on his forearm. 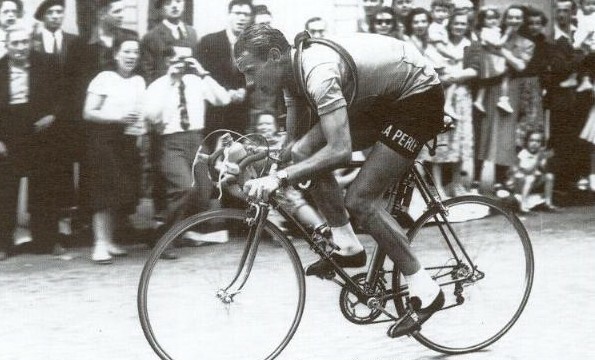 Koblet doing what he did best, time trialing. 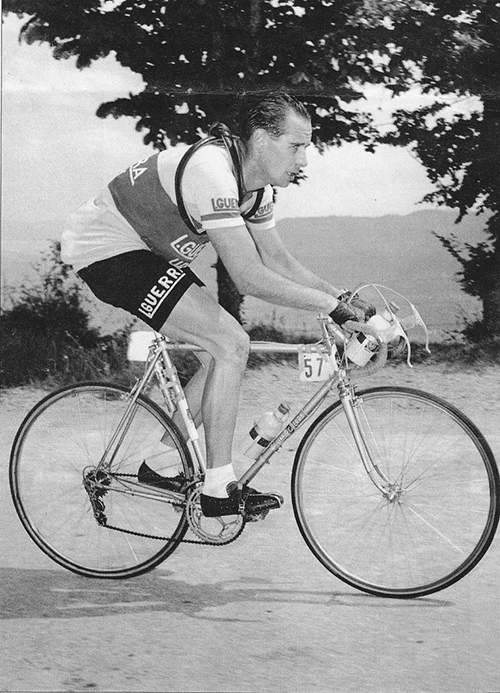 Koblet looked perfect on a bike with a flat back making for a compact, aerodynamic position. 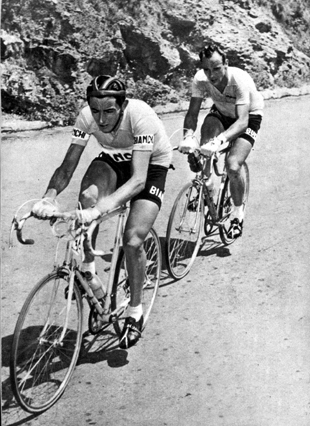 Two very different riders. 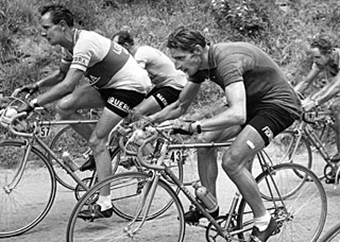 The perfect, elegant Koblet and the grunting, sweating Kübler. Both great racers.